Planned Service Agreements - "The Smart Choice"
Heating and cooling systems have a way of breaking down when the weather is at its worst; on the coldest day of a frigid winter, or during a sizzling summer heat wave; times when your comfort system must work the hardest, and when you need it most. Our commitment to program customers means we will generally have a technician to your door within 24 hours of calling our office. Free 24 Hour Priority Service, 365 Days/YR - When you have an emergency, you can rest assured CK Home Comfort Systems LLC...WILL BE THERE! Our commitment to program customers means we will have a technician to your door within 24 hours of calling our office. 15% Off Repair Labor - Our discounted rates save you money with every service call. Our repair trucks are fully stocked so we are able to repair 99% of calls on the first visit. 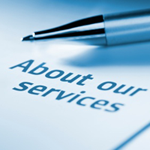 Please contact us to discuss our planned service agreements in more detail. We offer multi-year discounts and will recommend a program that best fits your needs.